Dulux have sought out another exciting trend. Your interiors can become clean and bright with the lines and colours of the Off-The-Grid trend. It brings together the control of chaos with the framework of lines, wire grid work and monochrome clarity, with a playful ‘off the grid’ freedom using splashes of colour with a fun bright tonal palette. Essentially this trend brings together the on-trend colours of coral, teal, copper and yellow with the crisp linear simplicity of the monochrome trend. 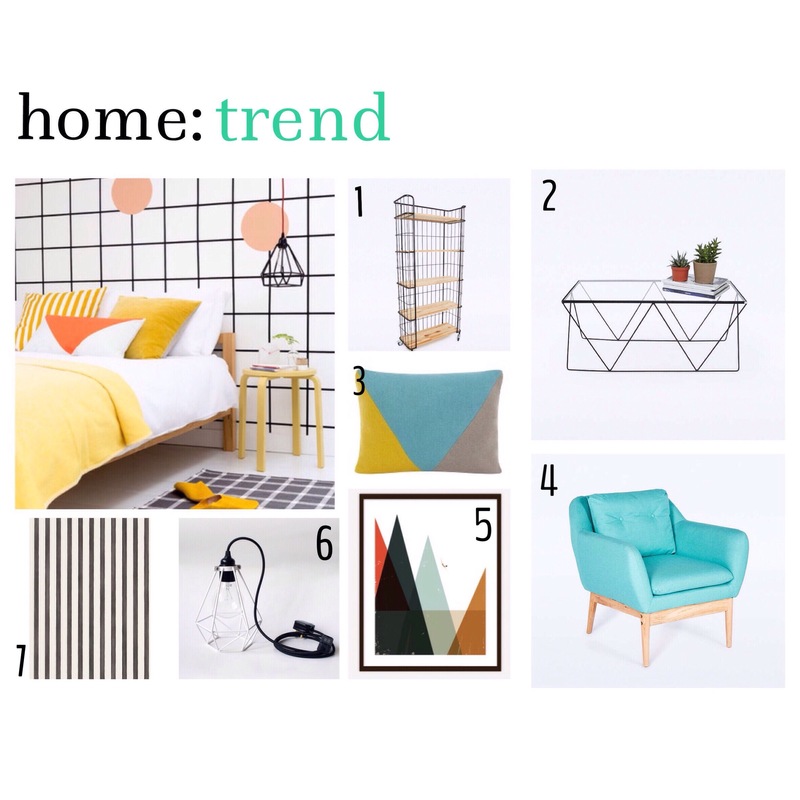 Search for grid pattern wall papers ( try Ferm Living ), big geometric patterns on soft furnishings from brands including Next, Zazzle and John Lewis, and colourful bold items of furniture that will sit against a monochrome backdrop. Head to Made for a huge selection of bright stand alone pieces of furniture at great prices.